Get Working Gramophones & Telescopes At This Hidden CP Gem! The best way to describe this little shop on the Janpath stretch would be to define it as a place that stocks all things awesome. Yep, it really is that interesting. Vasu Handicrafts is, well, a handicrafts shop but we spotted so much other cool stuff here, so we're inclined to give it credit for much more than that. Right on the entrance, you'll see a gramophone on one side and golden coloured telescopes on the other. Naturally, we walked in. 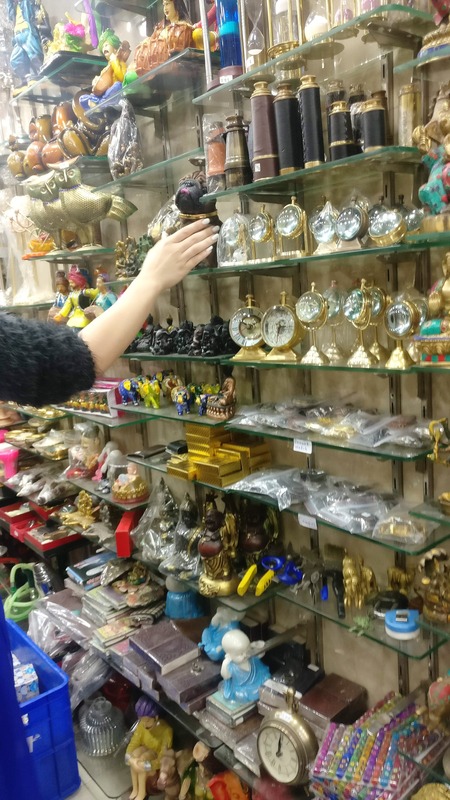 In there, we found colorful coasters and plates, unique showpieces, idols, clocks, wall hangings, lights, and even some great ittar fragrances! The gramophone costs INR 2,850, the telescopes start at INR 1,650, and the ittars for INR 200 for 10ml. Hey, it's Janpath, so be prepared to walk and haggle a bit.